Wild At Heart by Color Club is part of their fall collection of the same name. I received this nail polish with my latest VNS haul and finally got to wear it today. I already have loads of purple nail polishes but somehow I just can't seem to have enough purples. 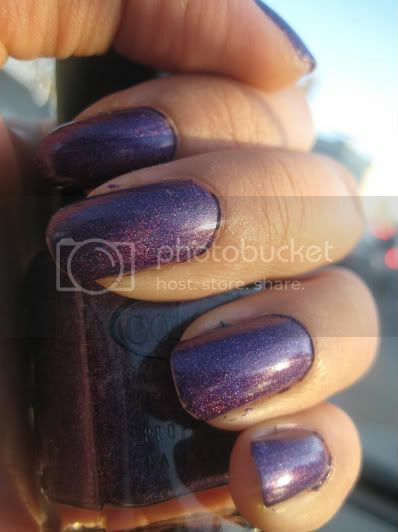 Wild At Heart is a a medium holo purple polish that glows in the sun. It has a mirror reflective shine to it and is just beyond gorgeous. This polish was also a breeze to apply. I could get away with one coat only but I did two. 2 Responses to "Wild At Heart"
Wow, I need to find this!! !